The LivCom Awards launched in 1997 was a significant Awards Competition focusing on International Best Practice regarding the management of the local environment. The objective of LivCom was to develop and share best practice, with the further objective of improving the quality of life of individual citizens through the creation of ‘liveable communities’. From 2007 UNEP endorsed and collaborated with the LivCom Awards. 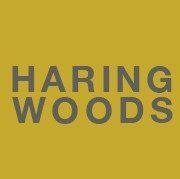 Haring Woods was the strategic adviser and producer of four top award presentations for the City of Westminster 1998, 1999, 2000, 2001. After attending the event in Hamamatsu, Japan, LivCom appointed Haring Woods as the awards event producers for the events in Shenzhen, Suttgart, Apeldoorn NL, Niagara, La Coruna, Guanzhou and London. Participating in and producing these awards allowed us to experience hundreds of presentations from cities, providing a unique awareness of international best practice in environmental issues and city planning.